We all know very well that looking for free public Wi-Fi could be difficult and most of them tend to require users to sign up. However, now you don’t have to worry about this, yes, the social media giant is testing out a feature that will help users locate free public WiFi. However, it seems very clear that now you may not need any App, website or any mark simply to find free public Wi-Fi. 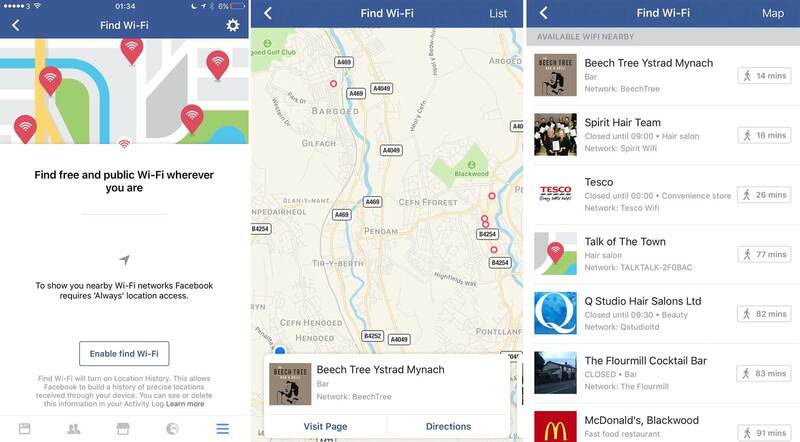 As we told earlier that the social media giant Facebook is already testing a feature which will allow users to easily find Free Public Wi-Fi hubs. Initially, this news was discovered by the head of content and director of social media, Matt Navarra from “The Next Web”. But, later it was confirmed by the social media giant Facebook spokesperson who shared the news with VentureBeat that the feature is already in the testing phase. 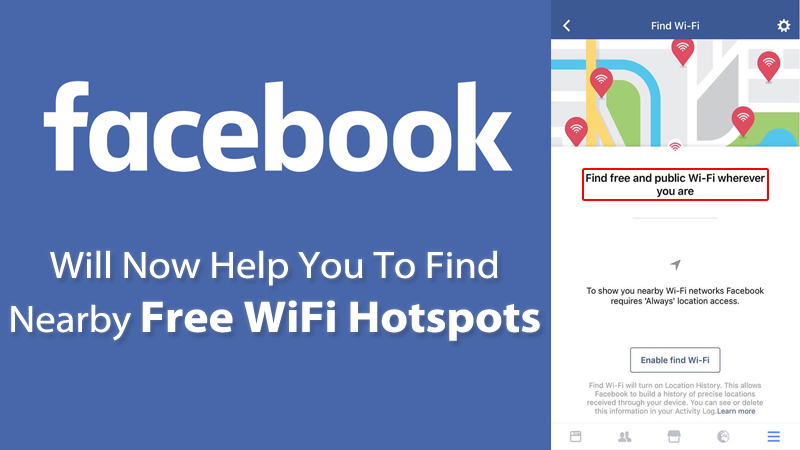 This new feature is known as “Wi-Fi Discovery” which is actually produced to show the places where Facebook users can easily access the free and public Wi-Fi places, as we already told earlier. The social media giant Facebook spokesperson said that “To help people stay connected to the friends and experiences they care about, we are rolling out a new feature that surfaces open Wi-Fi networks associated with nearby places”. But, the American technology website, headquartered in San Francisco, CA, well-known as VentureBeat contemplates that this feature could attract to users in developing markets where the mobile data is slow or it is expensive. Hence, in this case, free WiFi would be a more appealing choice. However, currently, the feature is being tested out in the selected markets only and initially it will only available through its iOS app. But, we are pretty not sure that when the feature will be available to all users, but it could be an effective feature that worth looking forward to.